The Samsung Galaxy R is a new Android smartphone launched by Samsung. 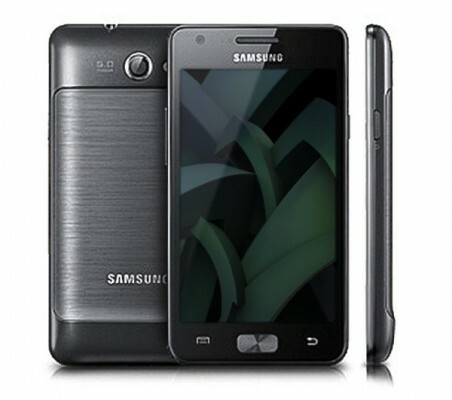 The new Samsung Galaxy R device runs on latest Android 2.3 OS and powered by Dual Core Application Processor. Samsung Galaxy R is the cheaper version of Samsung high end Galaxy S2 smartphone. Specification wise The Samsung Galaxy R features 8GB built-in memory which can be expanded up to 32 GB through microSD slot card , a 5 megapixel camera, HD video playback and recording and also supports, 3G, Wi-Fi, and A-GPS. Now Let's we see what is Samsung Galaxy R internal and external technical features , specification and what is actual price in India ( including Bangalore, Delhi, Mumbai, Pune, Hyderabad, Chennai and other cities in India). The Samsung Galaxy R smartphone price should be around Rs. 27,000/- in India.